What happen when 35 well know fashion designers decide to inspire and challenge each other to create? Fashion Designers Challenge! Today YOU will have the opportunity to join us to witness! Credits: video teaser by Jujudoll Dancer, Moda Fashion Spotlight TV Show. Thank you Juju!! FASHION DESIGNERS CHALLENGE PRESS RELEASE – The Road to Oz, May, 2nd – Samsara Nishi, fashion designer, is proud to announce the first edition of FASHION DESIGNERS CHALLENGE – FDC for short. 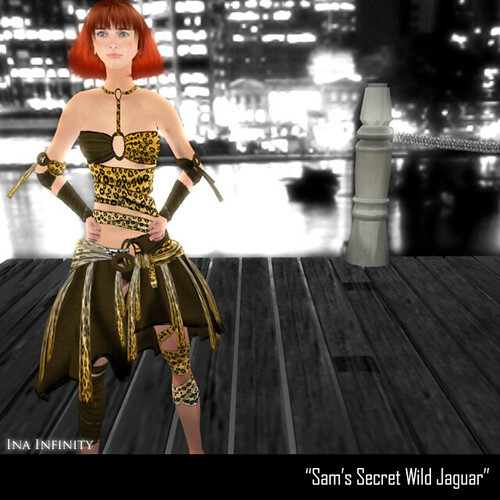 “For long time I’ve wishing to explore more deeply the collaboration aspect of SL, and I was also so curious about how it would be to organize such a thing… Finally I found a funny way to do it: usualy fashion designers, including me, work alone, all by themselves… well… what if they could influence each other to create? So I decided to invite other fashion designers to join me to be challenging each other to explore our creative minds practicing our design abilities on the fly!” says Samsara Nishi. 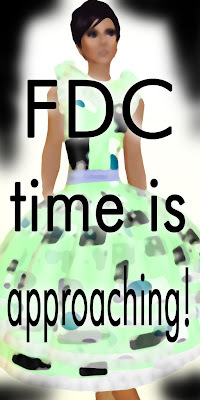 FDC is a special & unique fashion event involving 35 well known fashion designers connected under a strong collaboration mode. And there are also team challenges. This is not a competition between fashion designers. This is a teamwork challenge. This is a collaboration effort. As far as everything was picked by chance… we will have some unusual outfits as, for example, Ivey Deschanel from Sn@tch been challenged by Sevenstar Amat to design a classical suit for ladies. “Allthough I have not been teamed up with another designer (due to the fact we were having more clothing designers then for skins/jewelry and other categories), I’ve enjoyed every part of this challenge. It’s interesting and fun to not only define a challenge to another designer and see what they come up with, but also to be challenged and having to create something you least expect and which may not be your usual style. I would definately do this again :)” says SySy Chapman. “I have enjoyed working and meeting with other designers. Will I do it again? You bet!” says Wiccan Sojourner. “Absolutely for sure my main challenge was not to create an outfit… after I had this idea my personal bigger challenge was to put all together and make it happens! And I’ve to confess you, I’m so excited to see the results of this initiative!” said Samsara Nishi. All operational aspects of the event were build under collaboration mode: Sioxie Legend made the official logo and poster based on her discussions with the visual identity team: Ina Centaur, Sevenstar Amat and Sioxie Legend; Candy Cerveau lended a sim to host the store and the club; Tatianna Faulkes did all the customization and building of the store based on the discussions she had with Sofi Sullivan; Clio Cardiff was the official Italian translator helping other designers to fully understand all details about the event. The decisions regarding who should be hired as services providers for the event, also were take together by all designers. “It is really interesting to notice some of the services providers, by their own decision, offered to join us under the collaboration mode, as sponsors.” said Samsara referring to Prad Prathivi who will be making a machinima about the event, and Tillie Ariantho who will be working as the official photographer, both as sponsors. FDC started with a pre-launching party exclusive for close friends, media people and bloggers on Tuesday April/28th from 4:30pm to 6:30pm sLT, with TwinStorm Sciarri DJ and Gwen Carillon DJ. The closing party will be on Sunday, May/17th from 1:30pm to 4pm SLT with TurboDJ Des DJ and Asrael Hax DJ. And also, of course, a flickr photo contest will happen. EyeCandy/Candy Cerveau, Amodica Studio/Prad Prathivi, Tillie Ariantho, SL Newspaper, The Best of SL Magazine, WW Design, Sn@tch/Ivey Deschanel, Sam’s Secret Boutique/Samsara Nishi and Moda Fashion Spotlight. ABOUT Fashion Designers Challenge – FDC is a special & unique fashion event involving 35 well known fashion designers connected under a strong collaboration mode. “Regency dress – The high waisted graceful styles of early 19th century are known as the Empire style. Not my usual style, it was a great challenge to work on 🙂 Planning to release this in multiple colors aswell and can’t wait till the opening party! Keep an eye on the blogs for more news very soon…. The 35 brave designers who accepted the challenge are finally ready to pack their efforts in the final outfits/jewels/shoes/hair/skins! Multiple categories, team work and a lot of fun! All the items are to be released on the 5th of May, with a pre-launch (for press and bloggers) on the 30th of April! That’s soon! And I can assure you there will be loads to see and tons to be surprised of! A big thank to Samsara for letting me be a part of this, and to Mouse Mimistrobell, who has been a splendid team-mate!